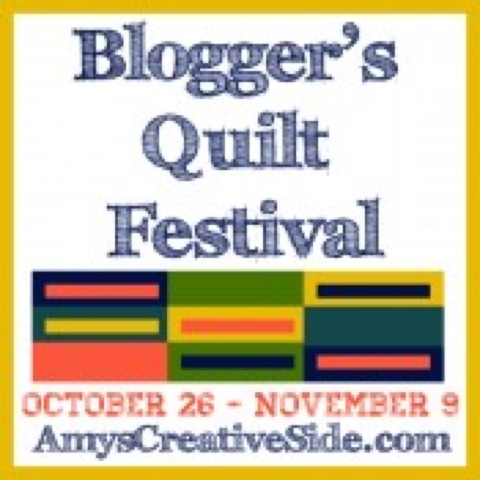 I have mentioned how much I love this GIGANTIC online festival, right? I will be honest, I was really trying to finish a new quilt for the festival, but the stars did not align. Sometimes real life takes charge. Without further ado...this fall's submission. It was the quilt that made me slow down this summer and enjoy the process of making quilts again. It was for the Name Game Swap, Round Two on Flickr this past August. My swap partner is an Art teacher in Florida. She stated that she would like something she could share with her class. She also wanted something incorporated from the area that the quilt came from. I think she was hoping somewhere more exotic than good ole Texas! I designed a foundation piece to make the flying geese "paint globs". The little bandanna swatch would not have been my first "red" choice, but I really wanted to include a piece of Texas in there like she instructed! I stepping out of my loops and meandering FMQ box. It was the first time for pebbles and swirls! I admittedly, know it needs some work, but I love the look it gave. I also think the embroidery thread was the key component to making a rather ordinary quilt a bit more special. I attempted a wood-like quilting on the handle of the paintbrush where I also embroidered her name by hand. A grey stripe for the brush tip. I tried to add quilting to mimic the brush bristles to help the gray fabric stand out on the gray background. Oh...and for my faithful readers that are still here to the end after reading all about my mini again? The do. good stitches bee quilt top I have been working on this week! The top and border have received Button's full inspection. Followed by his quick approval! When he sits back and relaxes on a "kwit" top or a "titched" quilt...you know it is good! Can't WAIT to get it on Ole Betsy and start quilting this!!!!! Lovely painter's palette - and I totally agree, your handstitching gives it the last "zing". Thanks for sharing! Love the painter's palette! Such a creative idea for a swap quilt! Very novel idea. I like it. I love the palette! Great idea & so well done. What a great quilt. I love it! 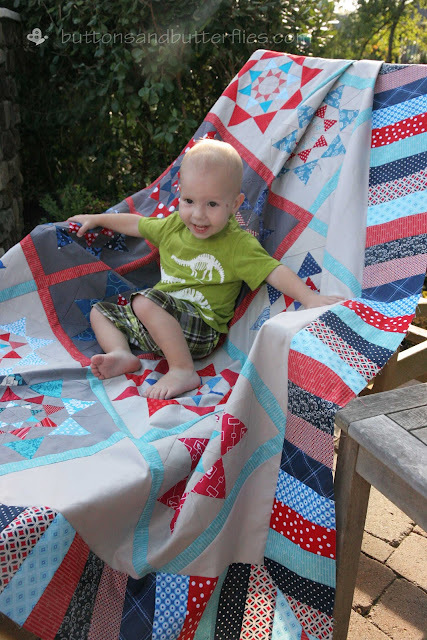 Love the painter's palette, and your little one seems to LOVE the new quilt! Your idea for this mini quilt has worked so well. It looks wonderful. I do hope the recipient was happy with it! 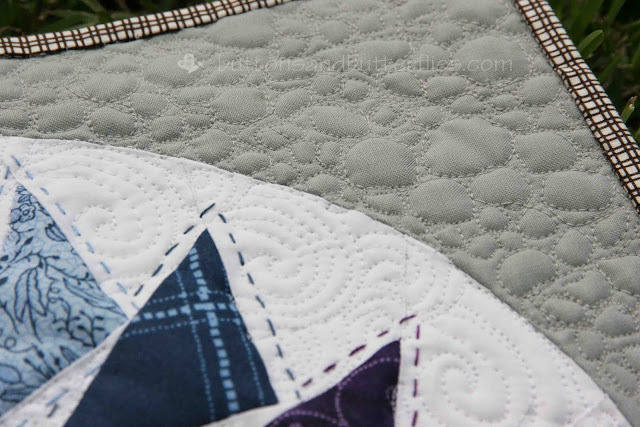 Your mini quilt is just phenomenal! What a great little quilt, very creative. 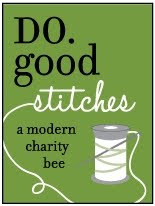 I am looking forward to seeing the do good stitches bee quilt when it is finished. Love your mini! Thanks for sharing! What a wonderful mini! Your partner must have just been so thrilled when she opened up the package! This is a great quilt! Your quilting is beautiful, too. I love the festival, too. I've made a few friends and surprisingly found a few people in my own town who I didn't know before - it's great! I love everything about this quilt... great job! I love your mini! The little details in it are fantastic. It really looks like a mix of quilting and painting! Very creative mini quilt!! Love the whole palette. 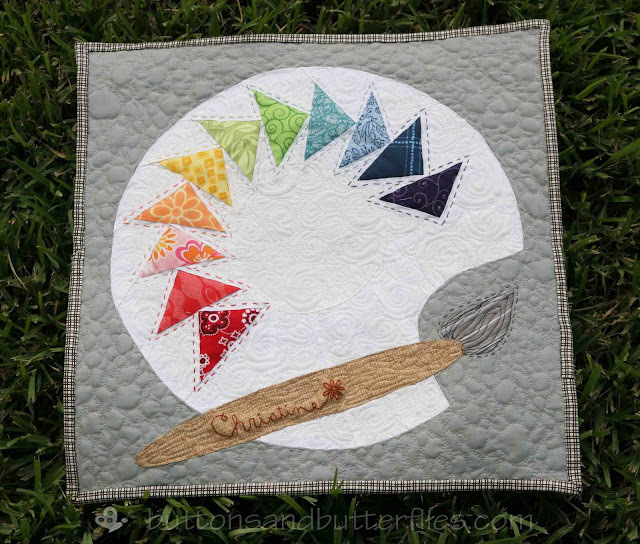 What a fun and innovative quilt your artist's palatte is! Love your creativity! What a wonderful gift....and an excellent mini! You thought out all the details and did an excellent job. Great Quilt using color wheel palette. Nice quilting! I love the Palette! I love the quilting on it also - it adds so much to the quilt. What a fabulous idea for an artist - love the way you incorporated Texas too. Thanks for sharing. Very creative, it looks awesome. I love it. Nothing is more fun that flying geese! your mini is too cute and i love your star quilt. What a beautiful quilt. 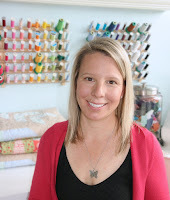 Love the overall design and your free-motion quilting is beautiful too! Love, love, love it. Love your mini! Your free motion quilting really adds to it. I am sure your swap partner loved it! Wonderful design. Very imaginative and beautifully done. Great work Heidi. It's fun to step out of our quilting box once in awhile and try something new. I always thought good ole Texas was exotic! So lovely - such a great use of flying geese! Stunning. I love the quilting. Wow! What a lot of detail in this mini quilt. Love it! 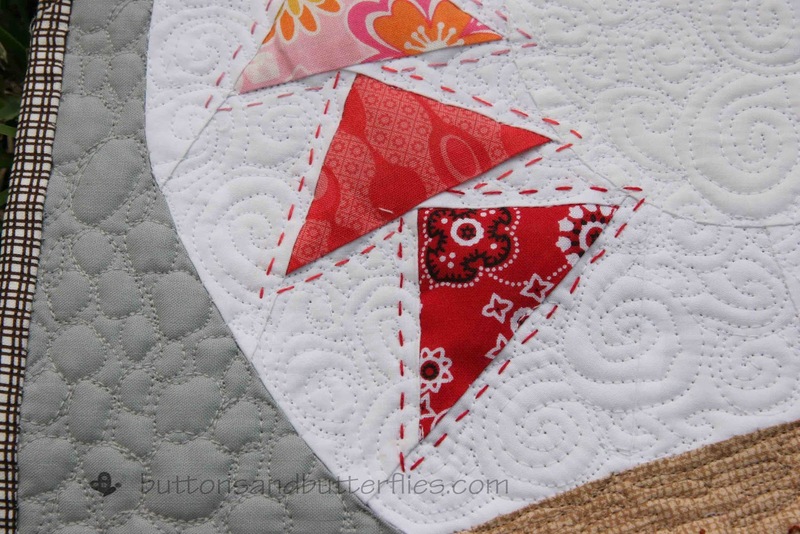 Super cute and I love all the FMQ quilting designs. Love the palette. Beautiful stitching. well shoot -- looks like quilt #3 gets me to comment #47! I love all the details you put in to this little quilt! And my word -- those blocks on your bee quilt! and Hi little Button! I wish you and Scarlet could play together in person! I love this quilt. Great job. what an original and fun quilt. The quilting and thread painting is great! Beautiful, and very creative! I love all the personal touches you added. Beautiful mini quilt. Love the colors! Your artists palette is one of the most creative mini's Ive ever seen. I think its FABULOUS and the pebble quilting just looks darling! This was so different and visually exciting. You really are an artist! Very creative and wonderfully done! I love the added hand quilting, it really adds alot to it. I bet the art teacher was thrilled with it! What a gorgeous quilt! I love it! =) The hand quilting adds a lovely touch. Delightful mini - really enjoyed reading your process. What a great idea for an art teacher - I love your quilting! Very nice. I love this festival too and didn't get to enter this time but still get excited about seeing what others have done.